As a result of construction delays stemming from the bankruptcy of the main electrical contractor and some setbacks on the soil condition in the new parking lot, the opening of the main academic building (Phase 1) of Wiseburn High School - home of the Da Vinci high schools, will be delayed by approximately 6-8 weeks. 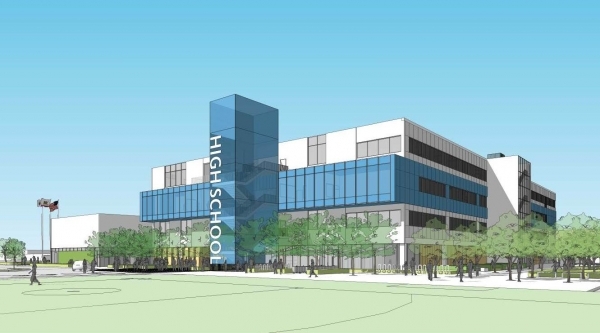 The three high schools (Da Vinci Communications, Da Vinci Design and Da Vinci Science), which had been scheduled to occupy the building at 201 N. Douglas Street in El Segundo, will instead start their school year on August 22 at their previous locations. 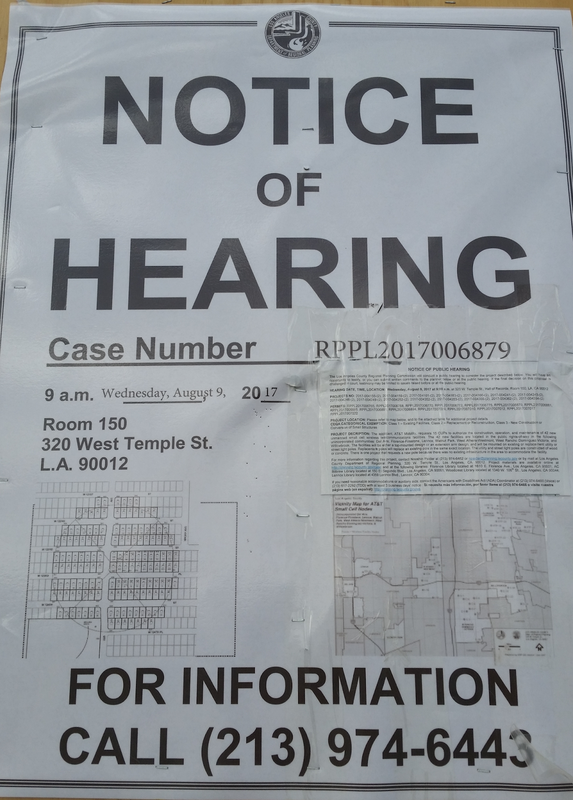 The tentative timeline for moving into the new building is in October, however a specific move-in date has not yet been finalized. At the construction site, crews have been diligently working six-day weeks to make up the lost time from the change in electrical contractors that occurred in April. Significant progress was made in May and June, bringing most of the project back onto the timeline for a successful August opening. Unfortunately, significant setbacks related to the guidelines of the Division of the State Architect (DSA) for Fire/Life/Safety and soil complications in the main parking lot have resulted in delays that require a change in the projected date of occupancy. In the parking lot, several soil issues have been uncovered related to old pipes that need a mitigated removal process, resulting in delays. For Fire/Life/Safety, the design of the smoke filtration system, alarm systems and fire door protections are extremely complex in this large four-story building. The delays in the electrical set-up have resulted in a domino-effect and unforeseen complications that have not allowed enough time for the required testing of these systems in advance of occupancy. 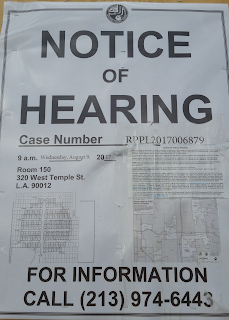 Needless to say, the Wiseburn Unified School District and the Da Vinci Schools will not put students or school staff into the building until all systems have been thoroughly tested and cleared by the building commissioning agents. We are committed to opening the building and moving in all three schools as soon as it is certified as safe for occupancy. Starting out the school year for several weeks at the high schools' current campuses is clearly not ideal. School principals have been developing contingency plans for reopening the Del Aire and Aviation campuses that had already been packed up in preparation for the move to the new campus. We are asking for the cooperation and patience of our students, staff, families and the community to work through this short-term setback as we continue toward our long-term commitment to opening a beautiful, world-class new high school campus. A Grand Opening/Ribbon Cutting celebration will take place in the fall after we move into the new building. Phase 2 construction that includes a pool, gym and playing field is scheduled for completion in the summer of 2018. For questions about construction, please contact Tom Johnstone, Wiseburn Superintendent at (310) 643-3025. A heavily trafficked stretch of freeway – the 405 through Los Angeles’ Westside and Inglewood, near LAX – will be closed overnight for three weeks starting Monday. 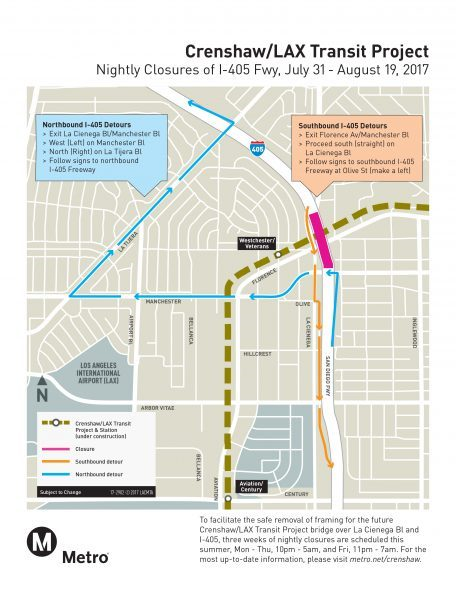 A Metro map shows detours for 405 Freeway closures July 31 to Aug. 18, 2017. The work will take place weeknights, 10 p.m. to 5 a.m., through Aug. 18, Caltrans announced. The closures are needed to safely remove the wood framing built to construct an 800-foot-long bridge over the 405 Freeway as part of Metro’s Crenshaw/LAX Transit Project. The bridge is set to be done next year, and the new Crenshaw/LAX Line expected to debut in fall 2019, Metro said. An approximately 2-mile stretch of the freeway, between Century and La Tijera boulevards, just east and northeast of Los Angeles International Airport, will be affected. The first week of closures, from July 31 to Aug. 5, will affect northbound lanes. The second week, from Aug. 7 to 12, will affect carpool and two left-hand lanes on both sides of the freeway. And southbound lanes will be closed during the third week of work, Aug. 14 to 19. 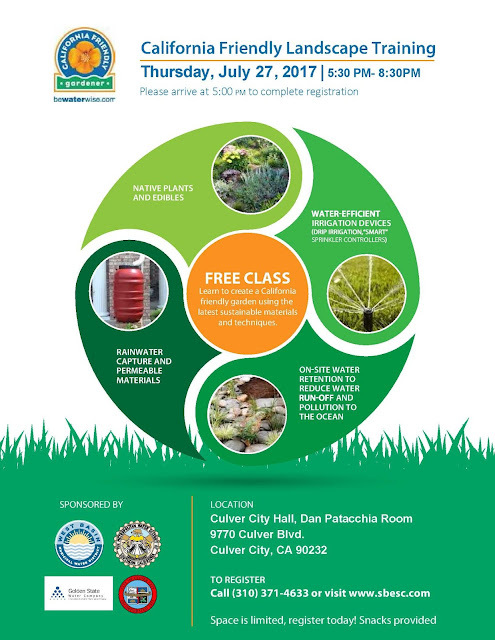 Details from Caltrans District 7 follow. Boulevard off-ramp and La Tijera Boulevard on-ramp. All lanes closed, midnight to 4 a.m.
Two lanes reopened, 4 to 5 a.m.
All lanes will be opened by 5 a.m.
Two lanes closed, 11 p.m. to 2 a.m.
All lanes closed, 2 to 5 a.m.
Two lanes reopened, 5 to 7 a.m.
All lanes will be open by 7 a.m. on Saturday. Exit La Cienega Boulevard/Manchester Boulevard off-ramp; turn left (west) on Manchester Boulevard, then right (north) on La Tijera Boulevard; take on-ramp to northbound 405 Freeway. Carpool and two left lanes closed in northbound and southbound directions will be closed between La Cienega Boulevard/Manchester Boulevard off-ramp, Century Boulevard off-ramp, and La Tijera Boulevard on-ramp. Northbound and southbound HOV lanes and two left lanes closed 10 p.m. to 5 a.m.
All lanes will be opened by 5 a.m. the following morning. Full southbound nightly closures between the Florence Avenue/Manchester Boulevard off- ramp to the south of Manchester Boulevard. Two lanes closed 10 p.m. to midnight. All lanes closed midnight to 5 a.m.
Two lanes reopened 5 to 6 a.m.
All lanes will open by 6 a.m.
Two lanes closed 11 p.m. to 1 a.m.
All lanes closed 1 to 4 a.m.
Two lanes reopened 4 to 7 a.m.
Exit Florence Avenue/Manchester Boulevard off-ramp; proceed south on La Cienega Boulevard; take on-ramp to southbound 405 Freeway at Olive Street. Tomorrow will be the last Saturday of the month, so there will be the TRW Ham Radio Swap Meet. Free admission, chance to find rare radio equipment. If you attended our last Del Aire Community Meeting, you heard John Koppelman talk about the installation of microcell towers around Los Angeles County. 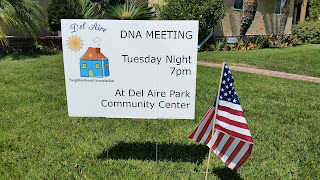 Due to the growing demands on macro cell towers, AT&T will be installing a microcell tower in Del Aire. 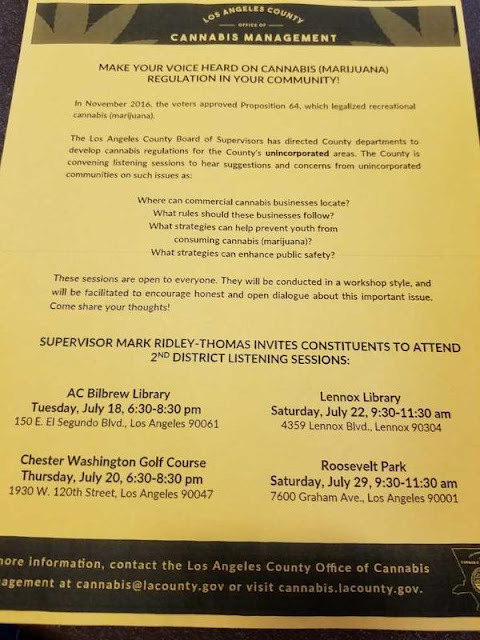 There will be a public hearing about this on August 9th if anyone want to provide comments. Update on 116th Street separation form LA City to LA County.